Domestic violence can be scary. Victims often fear for their safety and the safety of their children. Drugs and Chemical dependency often exacerbate abusive situations, making life a nightmare for victims. Allegations of Domestic violence can also be scary. If a domestic violence restraining order is filed against you, you may be suddenly kicked out of house and home, you may be restrained from your children, and you may find yourself not knowing what to do. With the service of one single document, your life is turned upside down. Child Custody in the Domestic Violence context is never simple. Family Code 3044 mandates that if domestic violence is determined to have occurred, a presumption shall arise that joint custody is not in the best interest of the minor children. The presumption can be overcome by evidence that it is in the children's best interest to be with the person who has been abusive to the other parent, but this kind of litigation requires an experienced family law attorney to present a compelling case. In California, domestic violence is a crime. Penal code section 273.5 mandates criminal penalties such as jail or prison time and participation in a 52 week batterer's program. The Domestic Violence Prevention Act can be found in Family Code §6200. The definition of Domestic Violence is in §6211 and the definition of abuse is in §6203. Domestic Violence should not happen to anybody and there is no excuse for it. Just as in battery cases, words, no matter how insulting or derogatory, do not justify putting someone in fear for his or her safety. When such threats or abuse occurs, family law attorneys can assist you in filing for a request for emergency restraining orders offering protection for victims fearing for their safety. Temporary Restraining Orders can be granted by a court within twenty-four (24) hours. Family law attorneys can also assist in responding to Domestic Violence Restraining Orders or advising clients to prevent hostile situations. 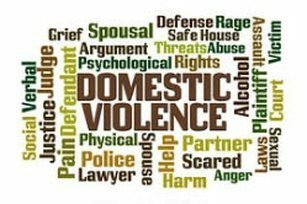 ​If you need protection, or if you need to be defended against such an order, we are competent, capable and experienced in all areas of Domestic Violence. Mr. Weisinger is a certified Family Law Specialist who has the ability to deal with these circumstances in an effective manner. As a Contra Costa Domestic Violence Attorney and an Alameda County Domestic Violence Attorney, Ethan Weisinger knows and understands the superior court judges. Each judge brings to the bench his or her own experience and viewpoint on how to resolve each case. Though we are Walnut Creek Domestic Violence attorneys, we handle domestic violence cases throughout the Bay Area.